By the year 2100, places like India – and some of them, like Mumbai, will hold 60 million or more inhabitants. 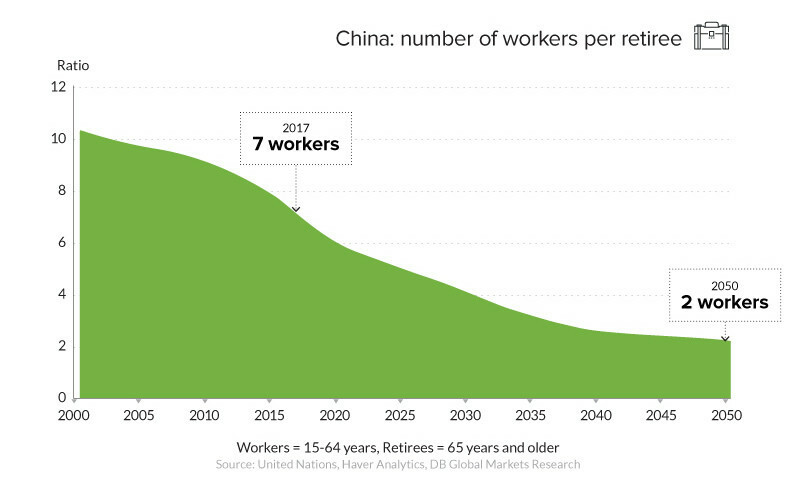 Today, the ratio is roughly seven workers per retiree – and by 2050, when China’s population is 100 million people fewer than it is today, there will be just two workers per retiree. This new paradigm will be an incredibly interesting one to watch. 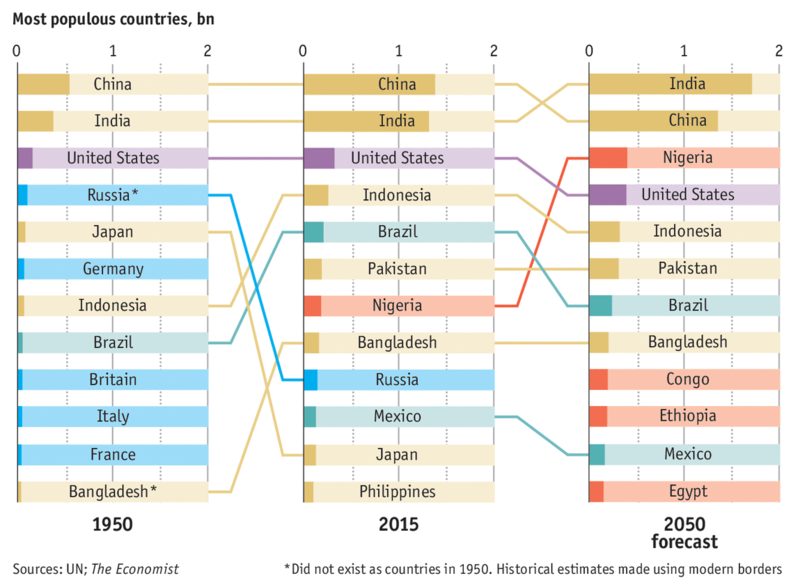 By the year 2100, China won’t be home to a single one of the world’s 20 most populous cities. Instead, these massive metropolises will almost exclusively be located in places like India and Africa – and some of them, like Mumbai, will hold 60 million or more inhabitants. While this shift in global demographics is going to be extremely difficult to deal with for China, there is optimism that increasing levels of automation and the emergence of artificial intelligence will help make up for any shortfalls. The AI market alone is expected to drive $7 trillion in GDP growth by 2030, and China’s investments in robotics and automation are sure to keep the country a center of manufacturing in the future – even if those factories are being staffed with robots instead of workers.